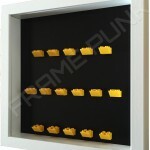 To choose this option, select the 5-6-5 formation in the drop down menu below. 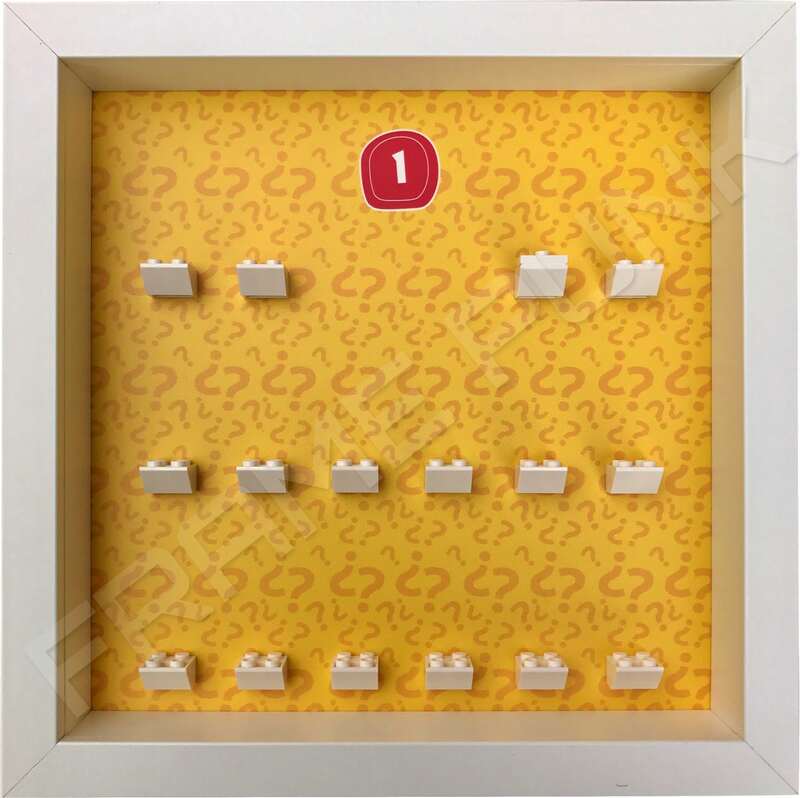 • Many different brick formations to choose from. 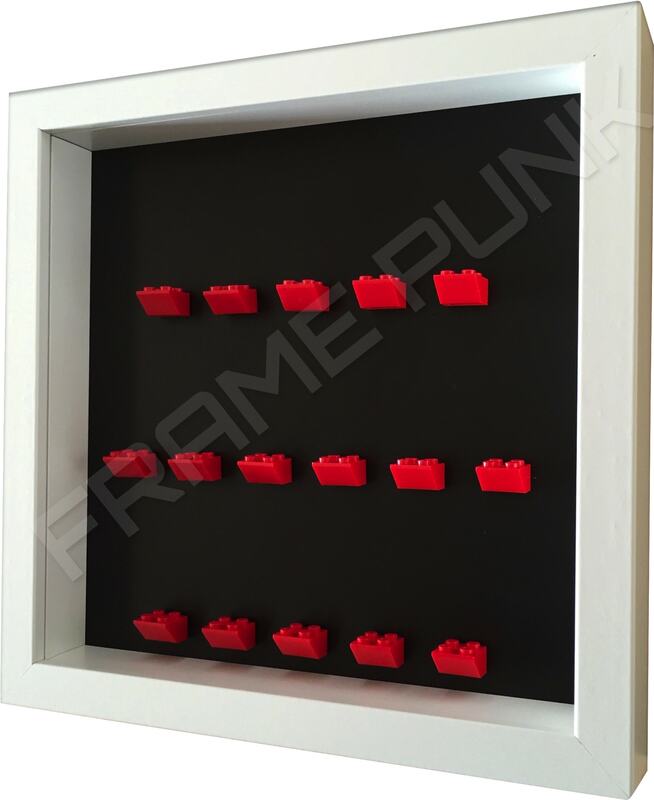 Once brick and frame colours are selected, view the drop down formation options and select to view in the main product image window. 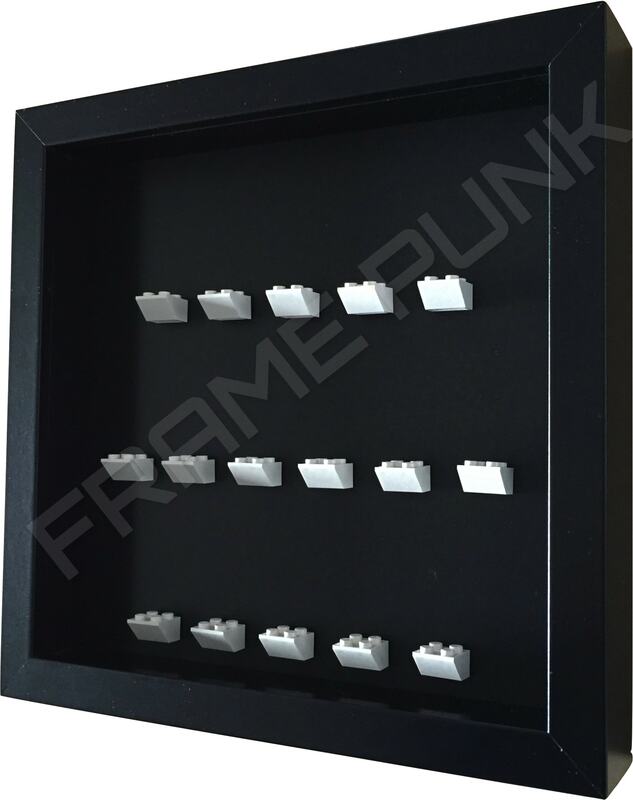 As with all of our other Lego minifigure display frames, this black option still boasts the same professional look and feel. 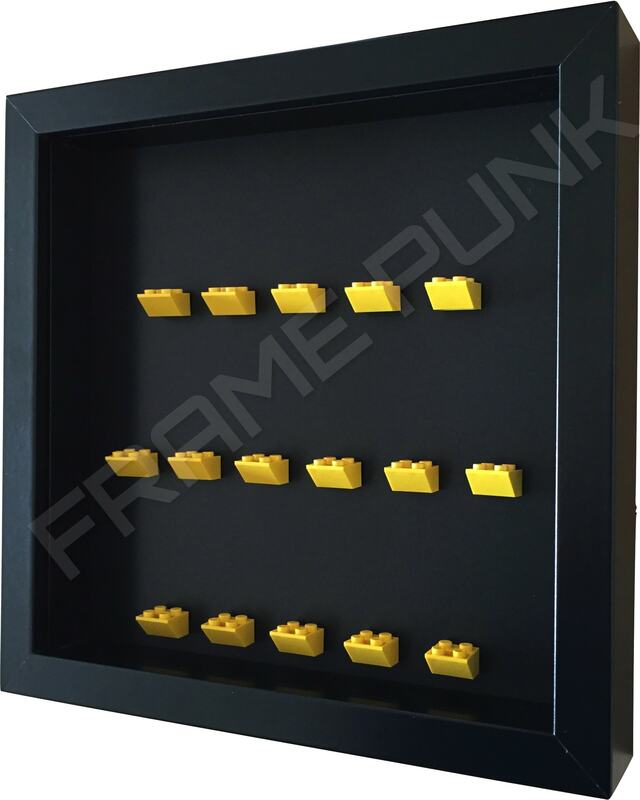 No fuss, just the classic plain black background that would compliment any Lego minifigure collection. 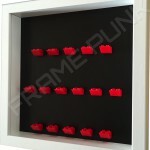 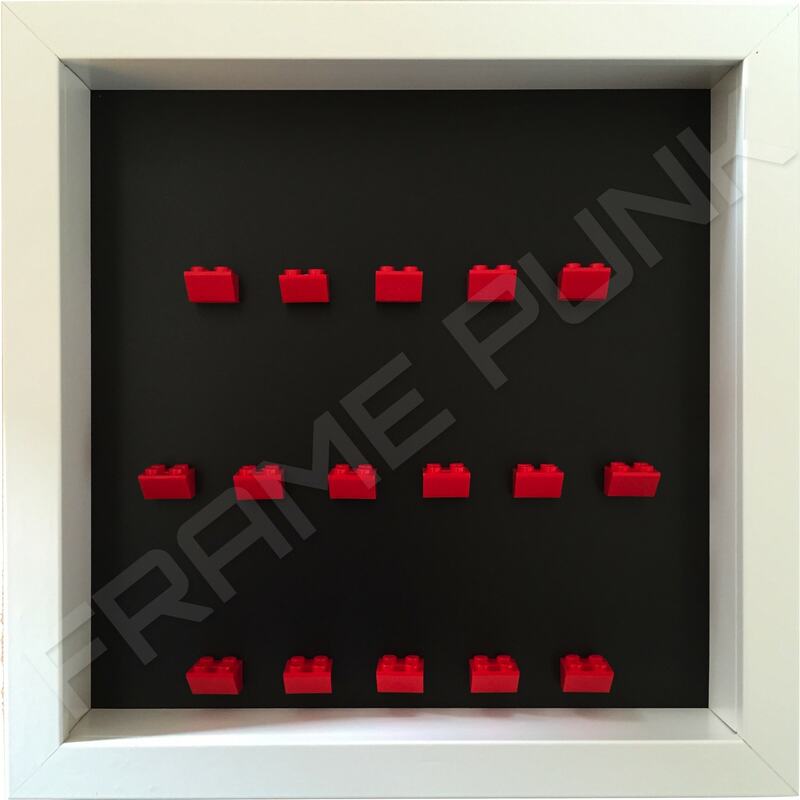 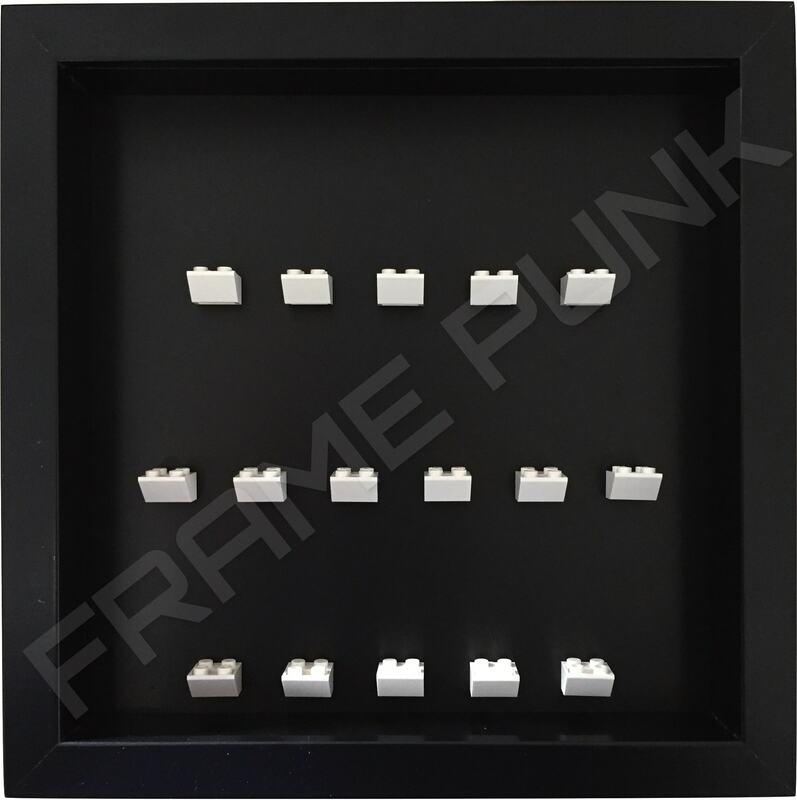 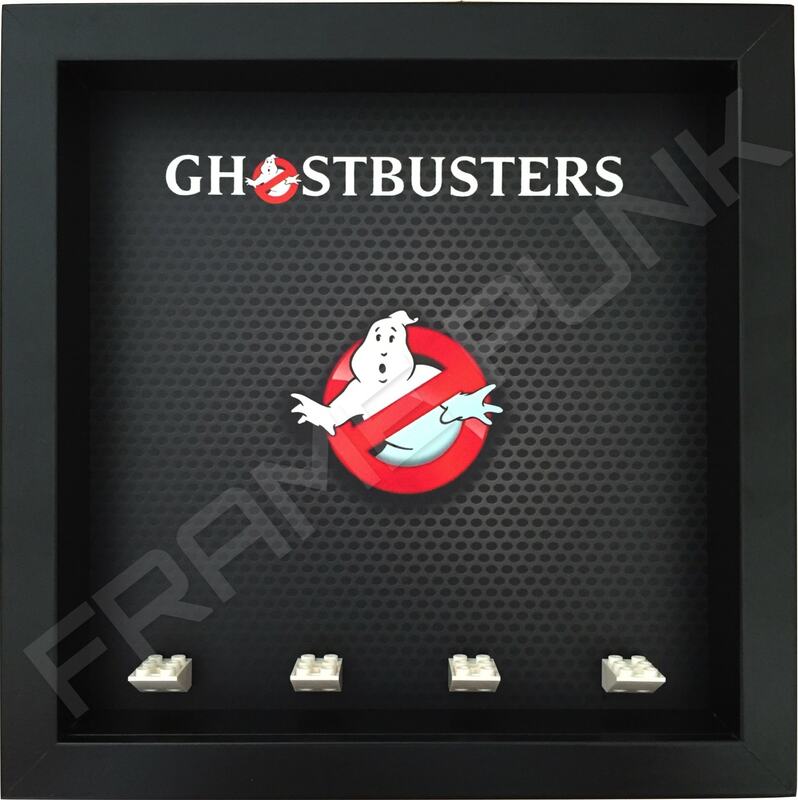 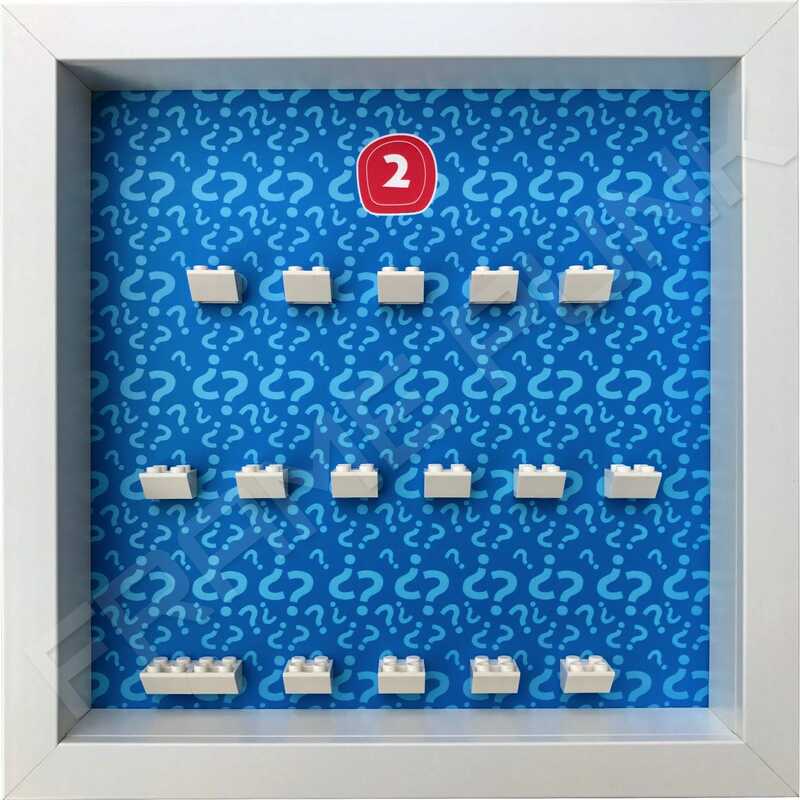 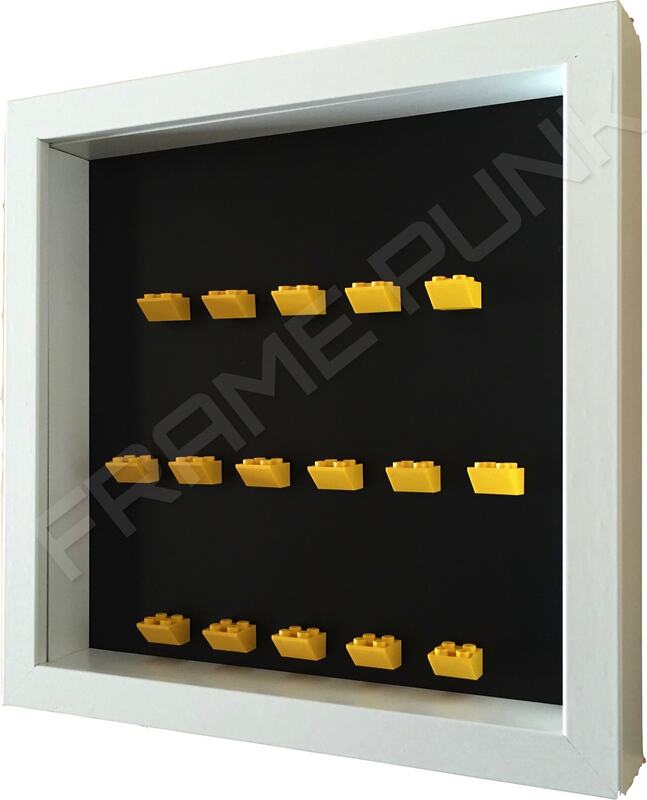 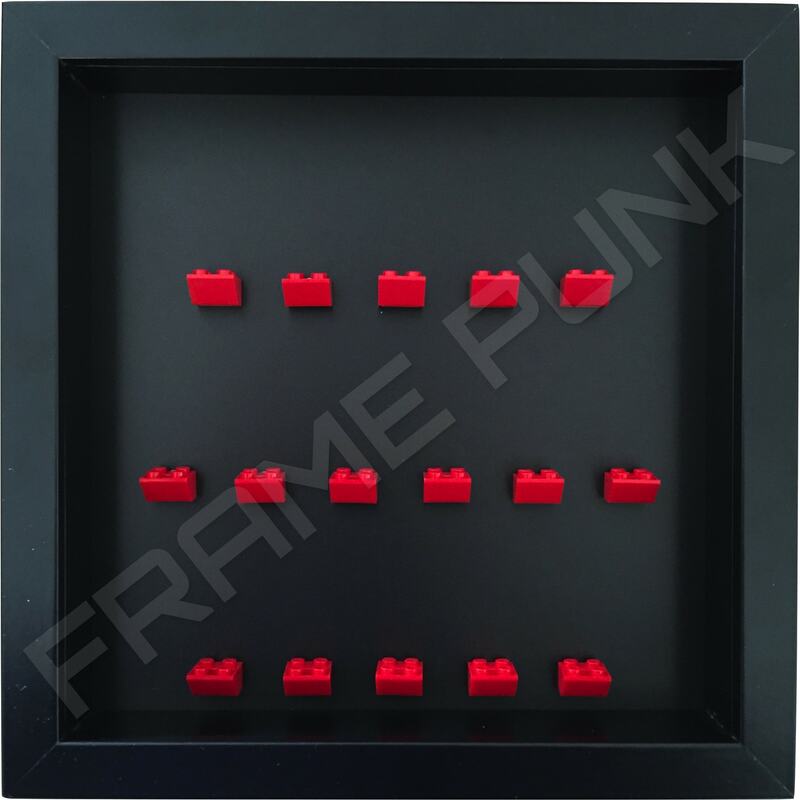 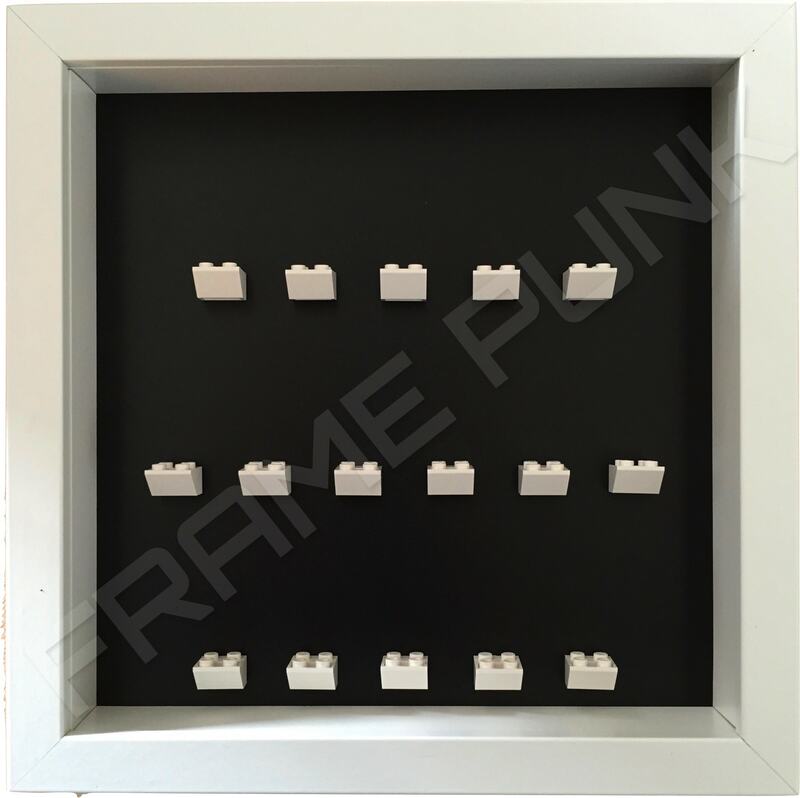 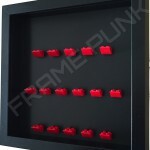 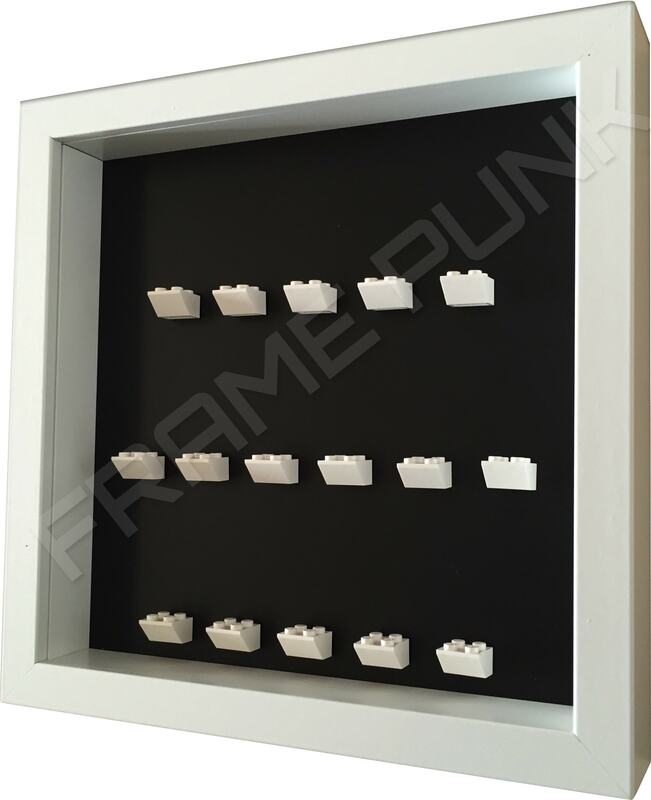 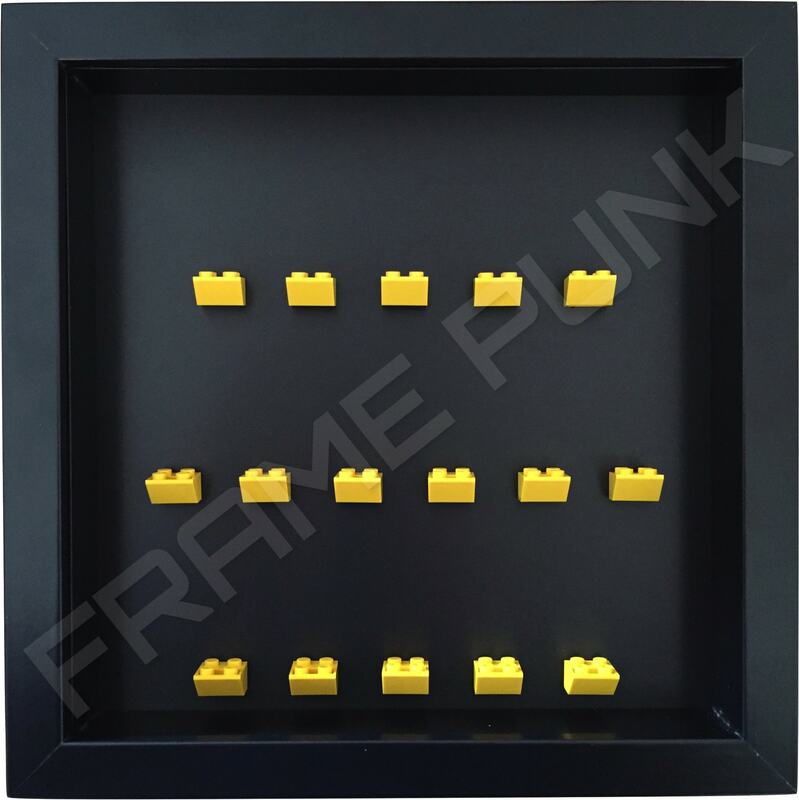 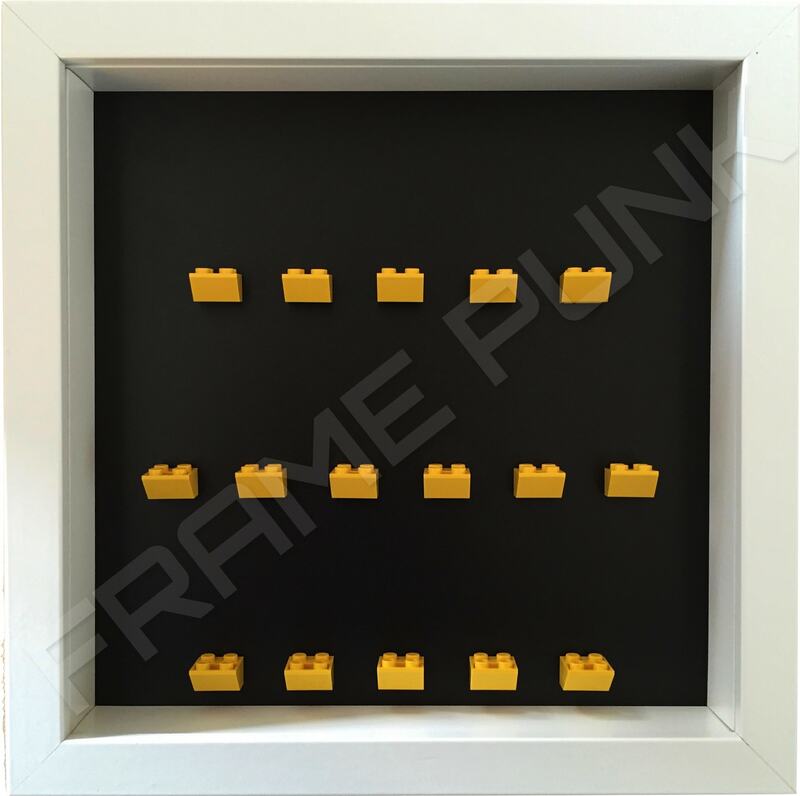 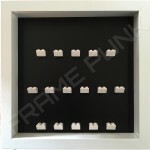 The frame itself is available in black or white and the Lego mounting brick colour choices are white, black, blue, yellow, red, lime, orange or green. 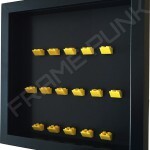 With an impressive amount of brick formations to choose from you are bound to find something that suits your requirements. 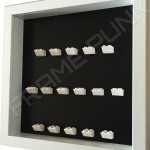 Measurement and spacing is precise ensuring that larger figures i.e. Marge Simpson (with her famous blue beehive) will fit in neatly. 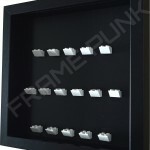 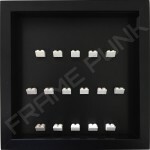 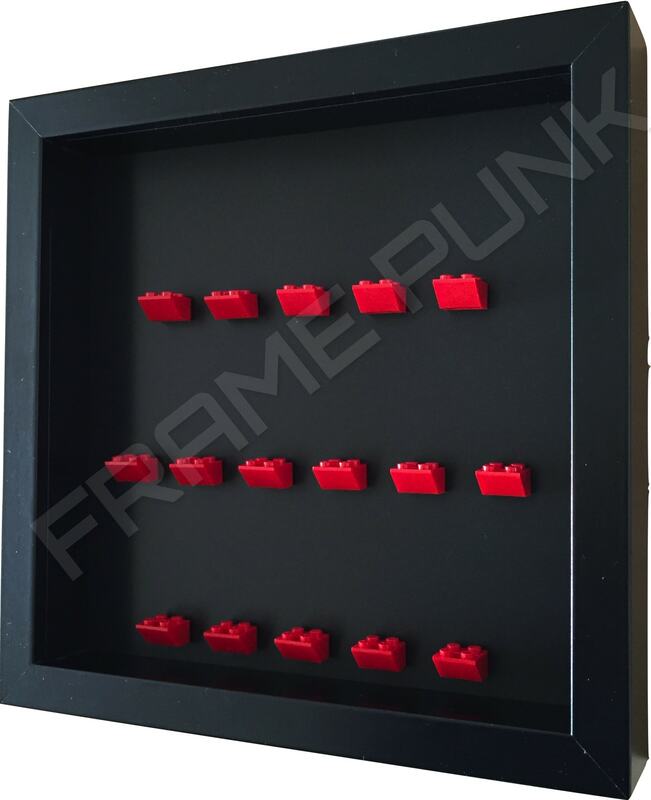 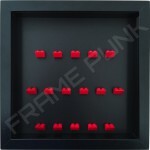 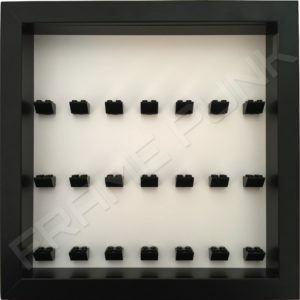 Like with all Frame Punk minifigure display frames, this background is premium rigid display board.